The future of medical cannabis in Michigan is looking much brighter than it did a few months ago, with several recent developments helping to turn the tide and create a renewed sense of optimism in the industry. The situation is quickly reaching a tipping point, and the state could be forced to overhaul its MMJ regulations sooner rather than later in a way that is favorable to cannabis businesses. 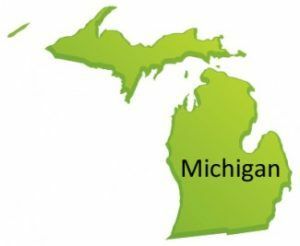 – While Colorado, Washington and Massachusetts grabbed the spotlight during the elections, Michigan made plenty of headway as well, though in an indirect way. Voters in four cities – Detroit, Grand Rapids, Flint and Ypsilanti – backed initiatives to decriminalize marijuana or make cannabis a low priority for law enforcement officials. It’s worth pointing out that all of the measures passed by a wide margin. This of course doesn’t alter state or federal laws, and local officials have said that little will change as a result. But it’s a huge symbolic win that sends a clear message to the state’s leaders about attitudes towards MMJ and marijuana in general. Although state Attorney General Bill Schuette and other officials have attempted to shut down the entire industry, they face increasing resistance from residents and will have a more difficult time doing so now. – In another election-related development, residents of Kalamazoo voted in favor of a proposal allowing dispensaries to operate in the city under a regulated system. It doesn’t mean new dispensaries will open any time soon, as there will likely be court battles over the issue. But it’s a big step in the right direction towards creating a dispensary infrastructure and further underscores changing perceptions about MMJ. – This week, a judge threw out a case against four dispensary employees accused of illegal drug dealing, representing a major blow – and an embarrassing setback – to Schuette’s crackdown on MMJ operations. The judge essentially said Michigan’s medical marijuana laws are a mess and must be clarified, echoing what others have been saying for a long time. Medical cannabis is quickly becoming a thorn in the side of Schuette, and the pressure is growing on him to revise his strategy and work with the industry rather than against it. All in all, November was a good month for medical cannabis in Michigan. The MMJ industry there is now focused on the state Supreme Court, which is examining a case that will determine the near-term future of Michigan cannabis dispensaries. The good news: Even if the court rules against the industry, the will of the voters will likely win out in the long run. The city of Grand Rapids is be taken to court in Kent County (Grand Rapids is the County Seat of Kent County) by the County Prosecutor who says this vote by the people of Grand Rapids is illegal as it is against Federal law. Still some things to work out here in Michigan.